Everything went well and bunkers are functioning perfectly. Attached are a few pictures of the install. John, I know some heavy weather moved through their what’s the update ? Everything go great on the AirDrain Bunkers? 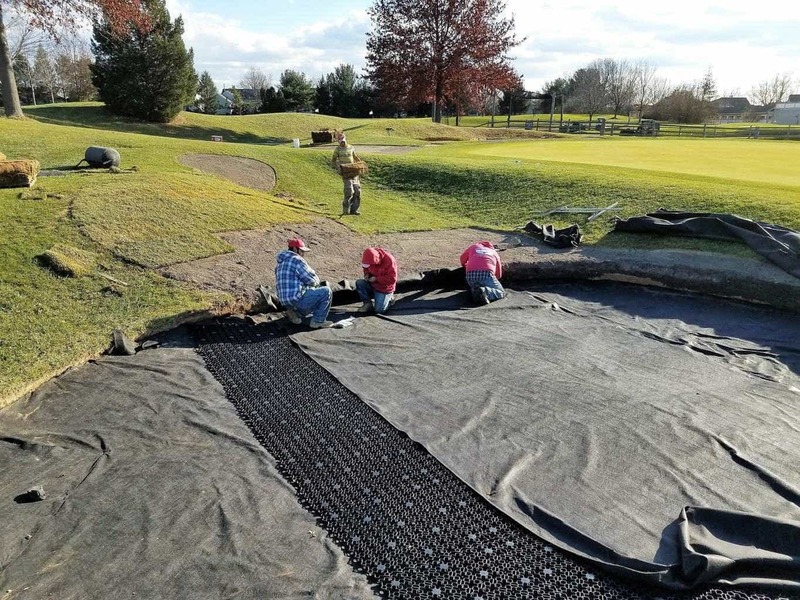 In addition, AirDrain by AirField Systems significantly saves on installation time because much less excavation is required compared to the traditional gravel drainage layers that have a much deeper profile. AirDrain arrives on site in 53” trailers, palatalized and ready for install. 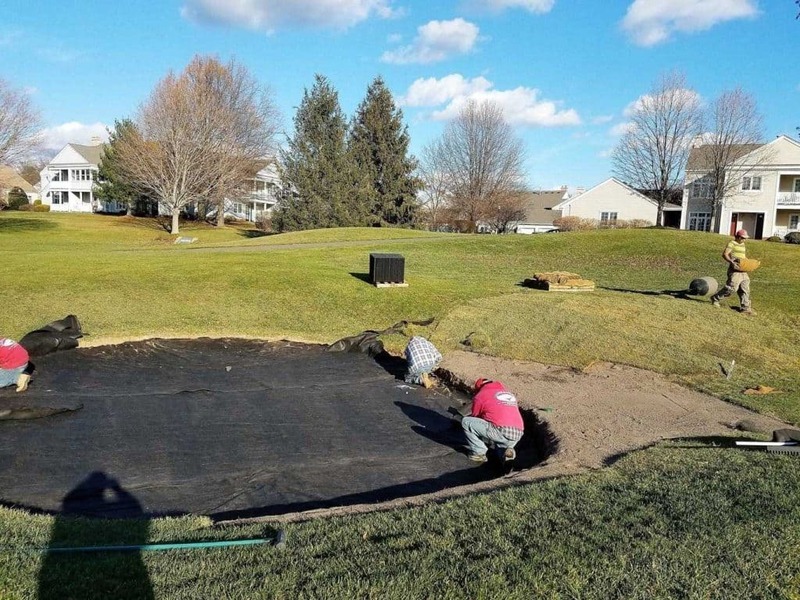 Unlike gravel drainage, with AirDrain there is no need for heavy dump trucks that can compact your golf course. Before you build or renovate a bunker, READ BELOW! 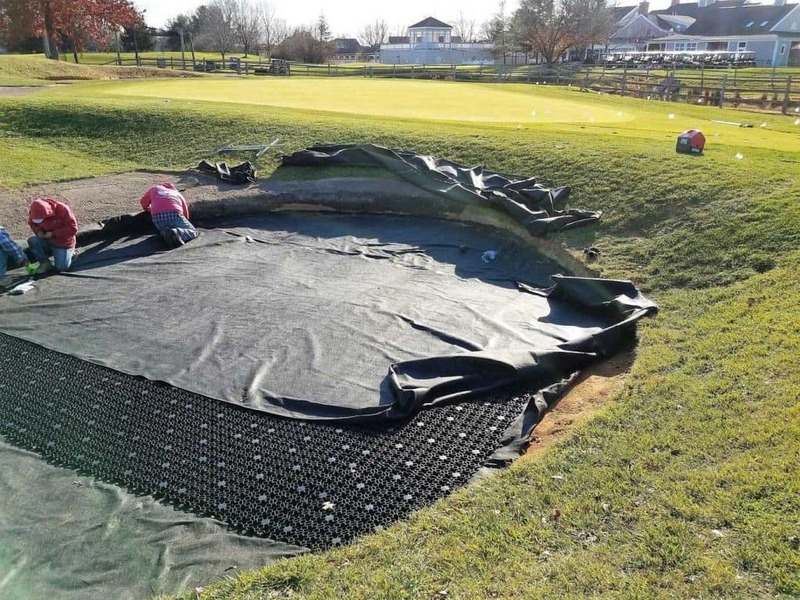 Don’t throw your hard earned money away, choose the easiest and best draining bunker install there is by far! Cost value performance and ease of install it’s not even close! Simple Fast and Easy to Install using existing employees to install at your own pace. NO NEED TO REWORK YOUR CLOGGED HERRINGBONE DRAINAGE SYSTEM. Install over the top! AirDrain replaces the traditional herringbone drainage system! With AirDrain only the exit drain(s) are necessary. The entire bunker floor acts as a drain using gravity to pull the water through the profile. FINES SHOULD NEVER CLOG THE SYSTEM! REMEMBER THE ENTIRE FLOOR IS A DRAIN USING GRAVITY! Superior Bunker Drainage with our 1” high 92% air void allowing water to move without obstruction to the exit drain(s). Long lasting drainage solution. The AirDrain grid itself will retain its performance for 50+ years under a profile. Minimal site disturbance with far less excavation and disposal for new bunker construction.